the obsessive imagist | art, design, life: SQUEEZE ME! 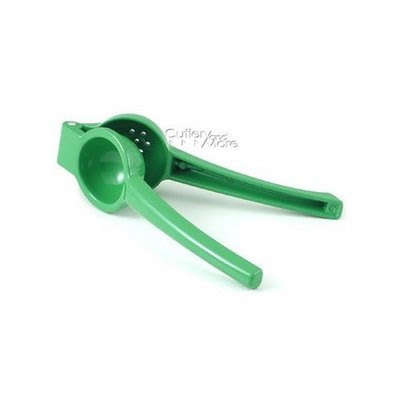 How cool are these juicers? 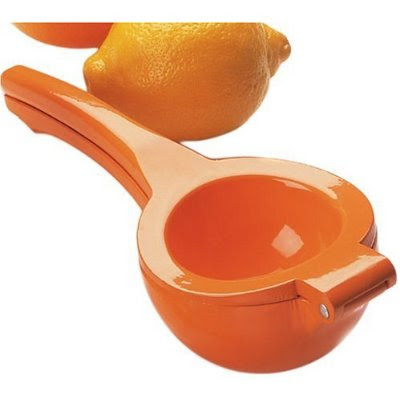 Made by Amco, these brightly enameled beauties can juice lemons, oranges and limes respectively. Priced around $12, you can pick them up at Amazon here. 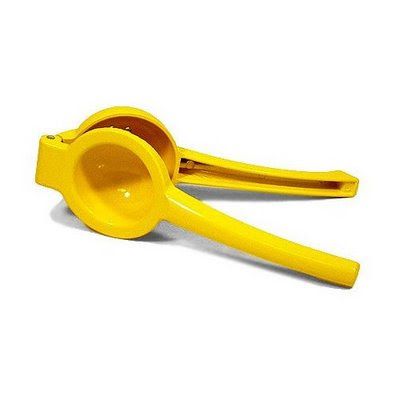 The lemon squeezer is definitely going on my new apartment wishlist . . .
Hmmmm, cool-looking design. I'm a bit skeptical, wondering if the handles can press down enough to squeeze well.